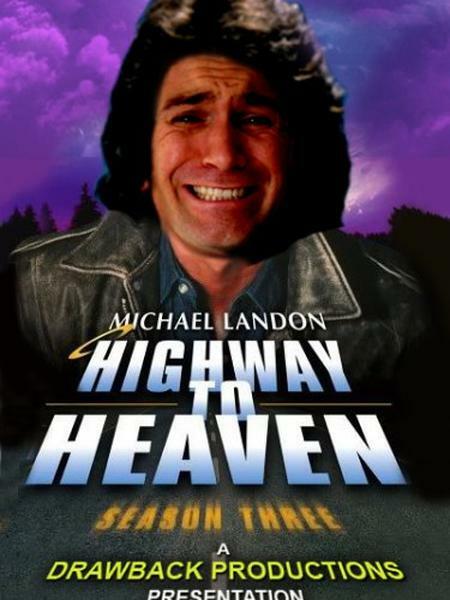 If you remember watching Highway to Heaven when it originally aired, odds are you’re probably dead. Simply put, this show was for old people who couldn't stand the excitement of Remington Steele so close to bedtime. 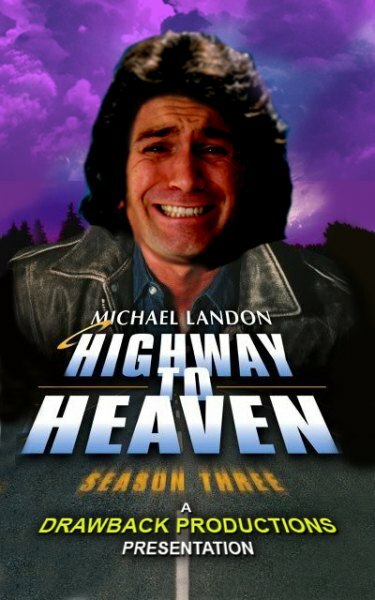 A fallen angel, Jonathan Smith (Michael Landon), and his pet hobo, Mark (Victor French), roam the country (but mostly southern California) weeping at guest stars (including Paul Walker, Josh Brolin and Ernest Borgnine) and sharing hotel rooms (which there is absolutely NOTHING gay about). So, with a little sprinkle of magic (as long as said magic requires no special effects done in post-production), a lot of lengthy exterior shots bothering to show us what mode of transport our characters arrived in, and a river of tears, you WILL Believe A Man Can Cry. For one low-ish price, Drawback Productions tackles FOUR back-to-back episodes of this nursing home favorite, including “A Special Love Part 1”, “A Special Love Part 2”, “For The Love Of Larry” and “Another Kind Of War, Another Kind Of Peace”. All episodes appear on Disc 1 of the Season 3 Box Set or are easily found on Youtube. ALSO, you get a free bonus riff on the Twilight Zone ripoff "One Step Beyond" for the episode titled "Epilogue". It's the whole episode, and not just the epilogue, so don't panic. You will need disc 1 of Season 1 or you can see it on Hulu.